It’s cold and flu season. That means at some point, you might get sick. How are you going to lose weight while ill? You’re not! Don’t worry about it right now. Get healthy! The same applies if you are recovering from an injury or surgery. You need to get healthy before you can worry about losing weight. The flu and the common cold are both respiratory illnesses but they are caused by different viruses. Because these two types of illnesses have similar symptoms, it can be difficult to tell the difference between them based on symptoms alone. In general, the flu is worse than the common cold, and symptoms are more common and intense. Colds are usually milder than the flu. People with colds are more likely to have a runny or stuffy nose. 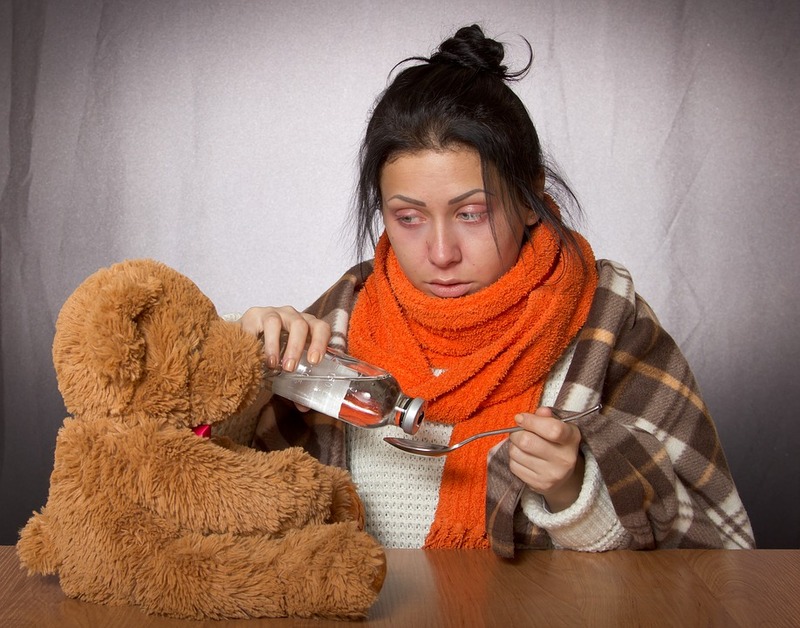 Colds generally do not result in serious health problems, such as pneumonia, bacterial infections, or hospitalizations. Flu can have very serious associated complications.